I love magnets in product design. They're a way to get good, clean, reliable force without the moving parts that might squeak, rattle, or break. So naturally, I agree with Gizmodo's Brian Barrett on the subject of these magnetic scissors: "Makes sense! Seems doable! So let's get out there and do it." 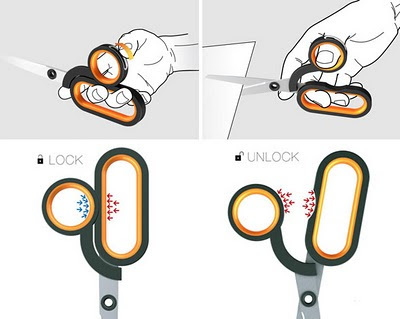 From designers Sang-in Lee and Yun-je Sung on Yanko Design, the scissors change from springing open for easy cutting to locking shut with a slide of a switch - which simply flips a magnet (woo!) to reverse the force. Simple, brilliant... I want some! Caps Lock, Num Lock, and Scroll Lock have had their own dedicated notifier spots on your physical keyboard for quite a while - little LEDs that might let you know you're in all-caps before you start typing, if you ever actually looked at your keyboard. 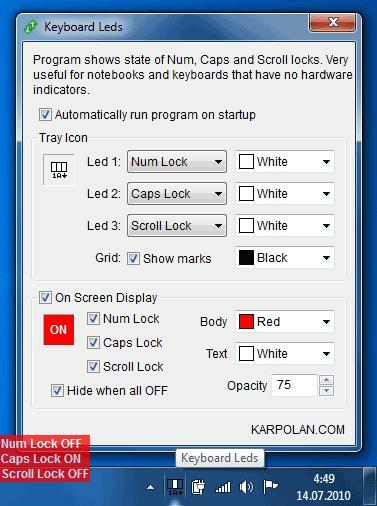 Since the early days of computing, every other status notifier has moved on-screen, usually to designated corner reserved for exactly that, like the lower-right corner in Windows. So, why not have your keyboard status lights make the move to an area where you have a decent chance of noticing them? That's what Keyboard Leds is for - it's a tiny freeware utility that does the trick. 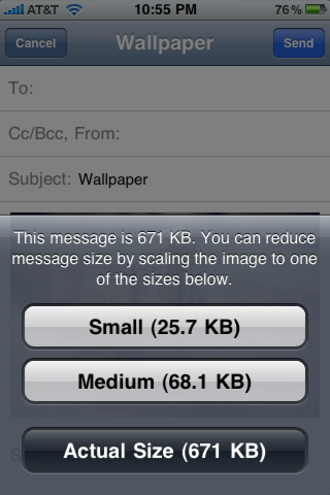 It's a fine idea, and one that I'd like to see baked into operating systems soon! 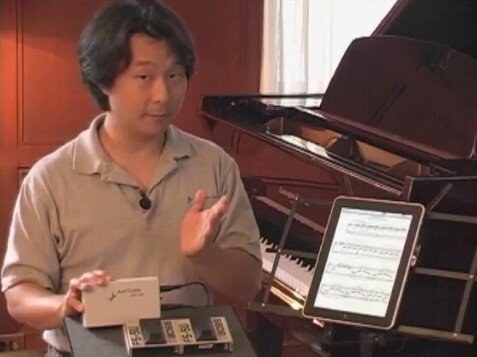 There are a few use cases where the iPad really, truly excels - and one of those is replacing sheet music. Keep your whole library on one device instead of lugging around binders full of paper, and make (editable, scalable!) annotations using the touchscreen. All it needs is a good way to turn the pages - and it's about to get that, too. AirTurn, a maker of USB-based page-turning pedals, is developing a Bluetooth version that will connect wirelessly to the iPad. Well, that does it - so long, paper sheet music! "Try Google Reader" - Google, you know better! 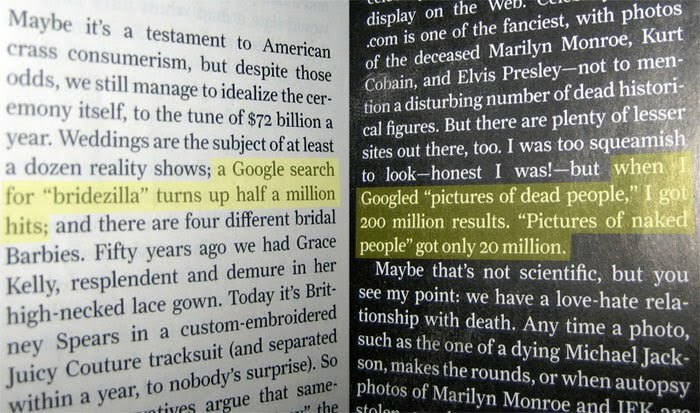 I'm an avid user of many of Google's services (heck, I'm writing this on Blogger right now), including both Gmail and Google Reader. One thing that's always bugged me is that when I get my Gmail inbox down to zero, this message appears: "Want to read updates from your favorite sites? 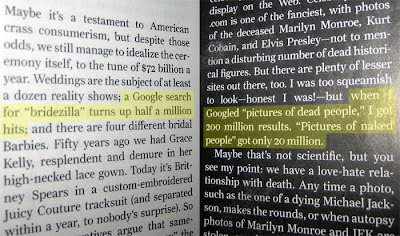 Try Google Reader." Google, you're supposed to be smart. The whole trick behind your profitability is knowing as much as possible about every user, and targeting messages to them with surgical precision. So you know I already use Google Reader all the time! Suggesting that I "try" it just seems... dumb. Why not ask me to "check" it - or even better, ask me to try a whole new Google service that you know I haven't used yet? That'd be smart. That'd be... Googly. 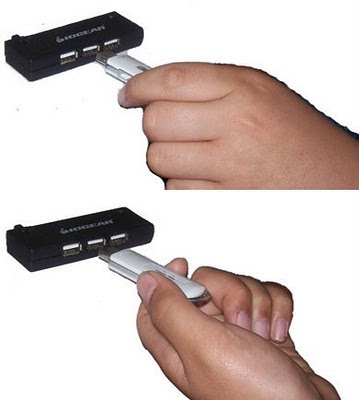 USB Type A plugs - the connectors you plug directly into your computer - look symmetrical. A little rectangular hole, a little rectangular plug, that should be able to work either-side-up, right? Wrong - and I'm sure that the sum total of man-hours wasted in the 14 years since that design mistake was made would truly boggle the mind. Better late than never, along comes the UltraTek Flipper USB Plug, which despite having the worst graphic design and website I've seen in quite a while, delivers on the promise to be able to plug the damn thing in either way. Sure, it probably costs more, and it may have reliability issues. But for god's sake, from a usability standpoint, it's what USB should have been in the first place! Running out of room for that mess of dirty clothes on your bedroom floor? Italian design group Paula has a way for you to keep the mess, but extend it to the wall! 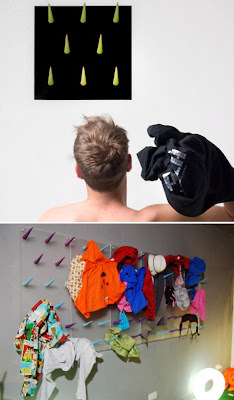 Wardrom is a modular system of funky wall spikes designed to catch tossed clothing. So, it basically takes a bad habit, and makes it even more fun. Spectacular. 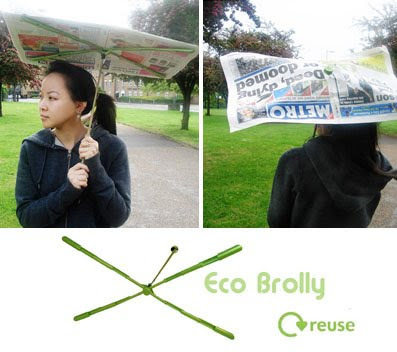 British designer Shiu Yuk Yuen delivers this nice little green-design concept: the Eco Brolly, which uses any old newspaper as the rain-blocking material in a portable umbrella. It's innovative in that it cleverly upcycles trash, reduces the bulk of the umbrella when not in use, and lets the user dispose of the wet part instead of having to dry it later. And yet, it's a little ironic: the heavier and glossier the paper, the better this will work; but those are the least-green magazines out there! Sometimes I love bad designs just for the ingenious hacks they can inspire - and this one, my friends, is a doozie. Many people (myself included) have cable or DSL internet where the modem sometimes just stops working and needs to be "power cycled" - that is, unplugged and plugged back in. This is inconvenient, especially when the cable is hard to reach - and of course, there's no power button on the damn thing. Well, the brilliant (and nameless?) guy at Stupid Hax has automated the power-cycling process: his router periodically checks for an internet signal from the modem. 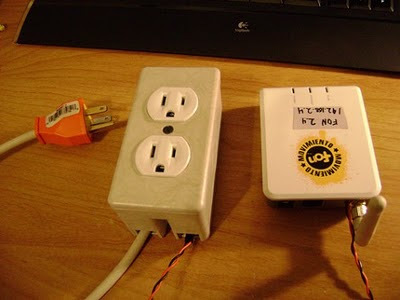 If it discovers a lack of internet, it flips a relay on the modem's power circuit off, then on again. Of course, this is exactly the kind of smarts that should have been designed into the modem in the first place - but the hack is so clever, I can't help but love it! Reader Josh Shields sent this one in, and it's a great example of good intentions gone bad. 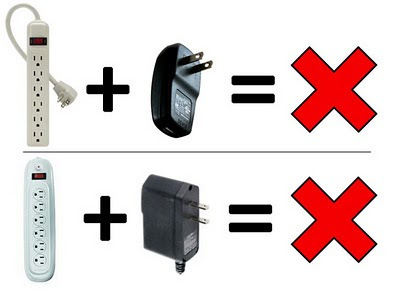 At first, most powerstrips had the sockets oriented as shown at top, and most power adapters (AKA "wall warts") had plugs oriented in, well, the worst way possible for those power strips. The problem is that each party seemed to go off and independently solve the problem: they each rotated their sockets and plugs 90 degrees. The result is the situation shown on the bottom - back to square one! Of course, there's a mix of old and new powerstrips and power adapters to be had out there, so it's possible that you'll get lucky and have a properly mismatched pair. But this is a case where some good design, cooperation, and even standardization could help! 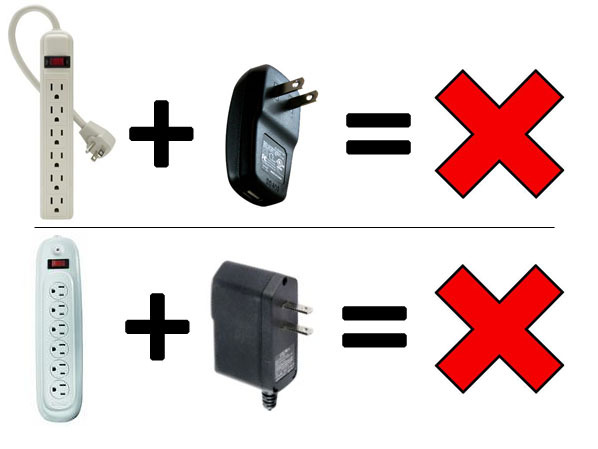 In the meantime, here are a couple of solutions: the PowerSquid, and rotating power outlets. Thanks, Josh!